The most amazing animals I’ve seen underwater. An over-the-water oasis at Amilla Fushi’s Lagoon Homes. After our first day of riding our bikes (each home at Amilla includes transportation- bikes!) around the beautiful island to find awesome new spots to lounge, basically from one hammock to another, we knew we needed to get into the water. We had already heard about the infamous Hanifaru Bay being just a 30 minute boat ride from Amilla and how the manta rays are currently feeding here. Not all resorts have access to this area so we felt SO lucky to have this opportunity and weren’t going to miss it. 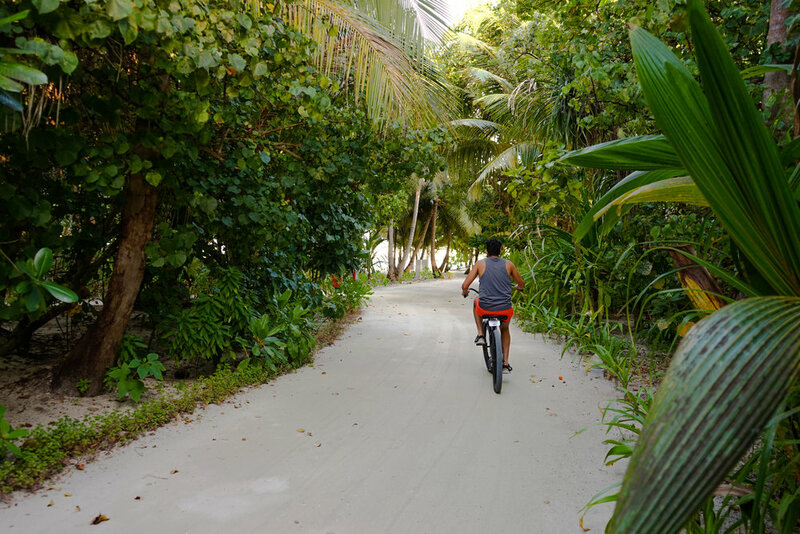 Every resort should have bikes; they were so much fun! This water makes my heart happy. 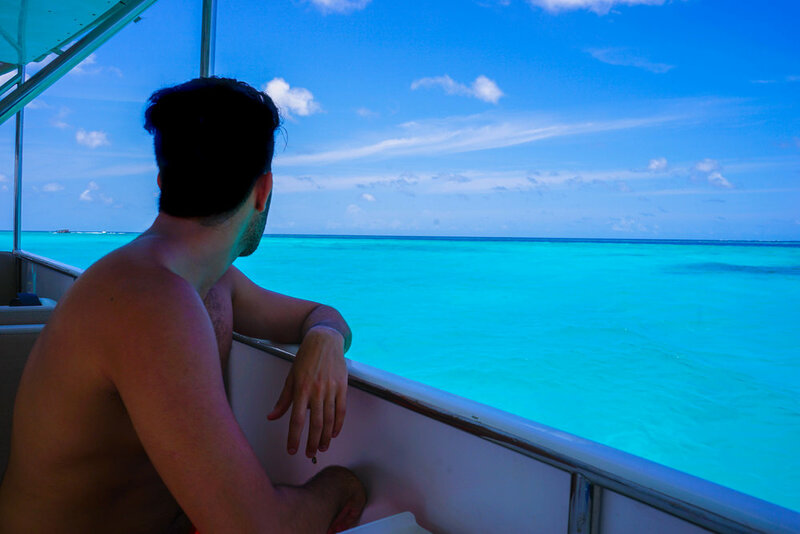 The boat ride was amazing, watching the color of the water change as we left one turquoise lagoon and arrived at another. 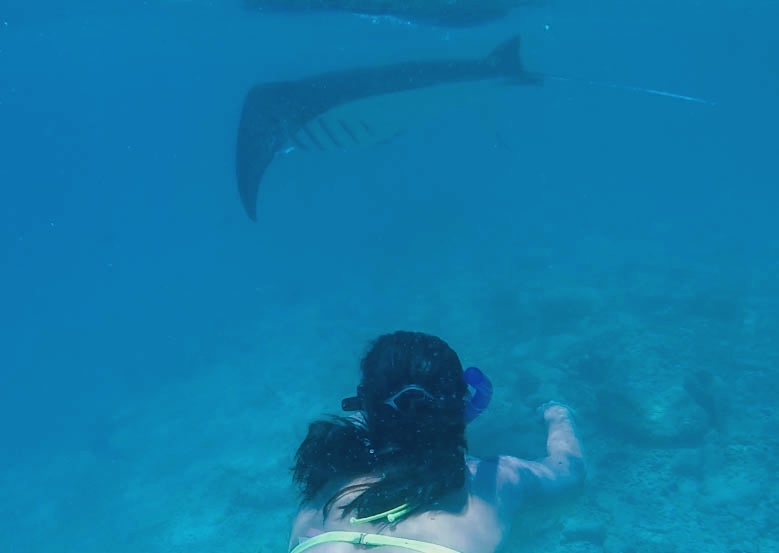 There is always a chance that you don’t see manta rays and since you only get 45 minutes to be in the water, it helps to have incredible guides and the marine biologist to pick out a spot. Once the boat stopped, everyone became quiet with anxious excitement, not wanting to get our hopes up. We then got confirmation from our guide that mantas were there and it felt like electricity ran through my body giving me crazy chills and the biggest smile ever. We hurried to get our gear on and I remember watching everyone jumping in thinking I needed to remember how to do this! The guide immediately pointed out the manta that was feeding below us. It was probably the coolest thing I’ve ever seen in the water and I immediately sucked up so much water, not even from the tube, but from my actual mouth, even with the mouth piece in my mouth. Totally not remaining calm at all. From the tanning deck to the titanic photo opportunities- we loved this boat ride! Taking the morning to soak in this view. After that first sighting, it was like an incredible show started with us in the middle of it. I had a super friendly manta swim right in front of my face. More water sucked up in my mouth- you guessed it. It was awesome to see them being so brave and friendly with us, as they gave everyone a front row show. 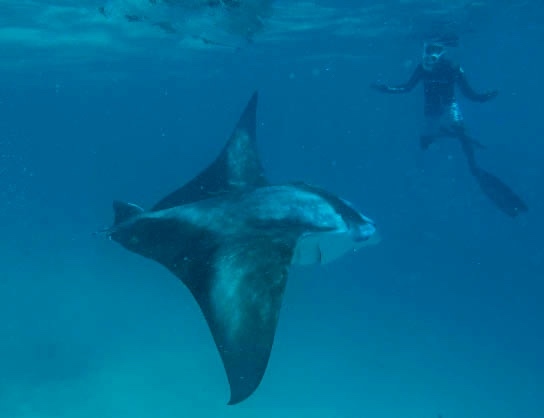 The coolest part about mantas are their feeding pattern where they swim one direction and then immediately turn around to go back, so they never swim out of sight once you are in the area with them. At one point, one turned around and came face to face with me and then swam directly under me. The guide had to hold up my flippers so that I didn’t kick it on accident; it was that close. As huge as they are, they are so gentle. In between the manta sightings, schools of fish swam by and it was just absolutely extraordinary. I basically had the time of my life in that 45 minute time frame and am so, so thankful to experience something like that. I cannot wait to come back to this very special spot during this time (May-August) with the hopes that I can see fifty or even a couple hundred swimming together since it’s quite common! If you end up staying at the beautiful Amilla resort, it's going to be tough to leave even for a couple hours on an excursion, but I guarantee this is an experience of a lifetime.